Cash ($4000 cash deposit required) Balance of transaction is due the day of the auction in cash or cashiers check. Cashier's Check/Money Order/Official Check made out to Silver Auctions(minimum of $4000 will be held as a deposit) Balance of transaction is due the day of the auction in cash or cashiers check. Credit cards are accepted for payment with an additional 3% convenience fee on full purchase amount. AFC Financing Available for qualified vehicle dealers. The first step in planning for one of our auctions is to obtain a verified means of payment prior to the auction. Personal or business checks with Letter of Guarantee from your bank. Substantive deviation of the sample will render the letter unusable for the purpose intended. Select Letter of Guarantee for a sample. International/Canadian Checks are Not Accepted. Wire Transfer with Wire Transfer Letter of Guarantee from your bank. Substantive deviation of the sample will render the letter unusable for the purpose intended. Select Wire Transfer Letter of Guarantee for a sample. Cashier's Check/Official Check/Money Order made out to Silver Auctions (minimum $4,000 will be held as a deposit)Balance of transaction is due the day of the auction in cash or cashier's check. JJ Best, financing available on-site. Pre-approval is strongly recommended. This option is available only when JJ Best is on-site. Please call Silver Auctions to confirm if they will be at the auction. NOTE***International/Canadian Checks are Not Accepted - Wire Transfer Letter of Guarantee or Cashier's checks are your best options. Next you must obtain a bid pass. 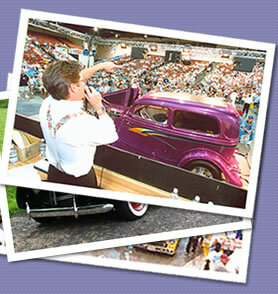 Our auction staff will issue a bid pass at the auction site. We will need a copy of your driver's license, social security number, current address, phone numbers, and a guaranteed method of payment. You will then be required to agree to the terms of our Bidding Contract. A bid pass will then be issued to you with your bidder number. Our Bidding Contract can be accessed two different ways on our web site. The contract can be read online. Or a printable version can be downloaded for you to complete and return to Silver Auctions via fax (509-327-3059) or mail (2020 N. Monroe, Spokane, WA 99205). You are now eligible to bid on your dream car. You should thoroughly look over any vehicle you are interested in before the car reaches the auction block. You should also read the description card, which is filled out and signed by the owner of the vehicle. When the car is on the auction block, place a bid by simply raising your bid pass. If you are the successful bidder, you must now finish some paperwork and pay for the vehicle A 8% buyer's fee (minimum $250) will be added to the bid price along with any applicable taxes and titling fees. Once forms are signed and payment is recieved, you can take possession of your new purchase. The title will be sent to you via certified mail on the eleventh banking day after the auction (unless title delay is announced then we will provide a clear title but it may take up to 90 days). Congratulations, you are now the proud owner of a great collectible vehicle.